Posted on Tuesday, February 4th, 2014 at 4:18 pm. TaiwaneseAmerican.org’s Ho Chie Tsai takes a moment to chat with some of the organizers behind a new student-oriented conference that aims to build bridges across the Pacific by bringing together young spirited leaders from the U.S. and Taiwan. Their vision is broad and meaningful: By connecting ambitious young leaders with established leaders in Taiwan, they plan to explore various contemporary issues relevant to the Taiwanese people and take steps to producing solutions that make an impact. Read on as Ho Chie Tsai delves into the thoughts and plans of U.S.-based co-founders Alice (Pin-Pin) Liao & Sharon Lu and Executive Committee Organizer Frances Chan. Ho Chie: Hello Frances, Alice, and Sharon! It’s a pleasure to chat with you about this wonderful project you and your team are working on. Tell me a little bit about what the Taiwan-America Student Conference is and what inspired this idea. Alice: Hmmm… It’s hard to say just “a little bit” on the Taiwan-America Student Conference, since there are so many parts to it… Top university students from both countries will be collaborating to solve global issues – all the while attending professional networking events, academic forums, and cultural excursions. 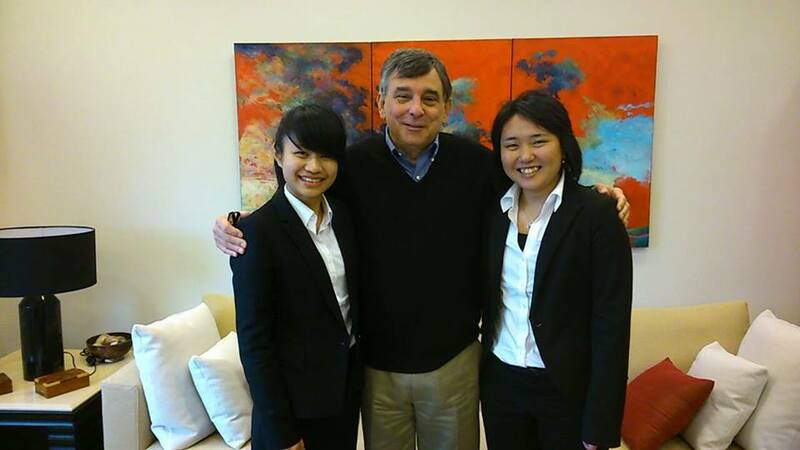 They’ll also meet established leaders, like the former ambassador to Taiwan and the founder of Teach for Taiwan. And all that jam-packed into two weeks traveling around Taiwan! I don’t think anyone can fully understand its impact until actually attending it… I mean, when I attended the 65th Japan-America Student Conference (JASC) in Japan, I had no idea I was going to go from being a shy student to a confident leader. I think it really had to do with meeting 71 other delegates that not only didn’t judge me by my past, but instead believed in me as a person who was capable to make change in the future. Having been inspired at JASC, I really wanted to give others the same opportunity! Frances: So when I was in Japan last summer, I realized that there were SO many ways for an American to get to Japan. Many people in my school go there to study Japanese, to intern in sectors from banking to non-profit, and to lead summer camps to inspire high school students… all while meeting Japanese people and learning to love the culture. In sharp contrast, I could not think of a single way to get to Taiwan. 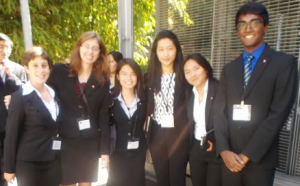 That’s when I heard about JASC, which was really the spark to a lot of cool projects in Japan, such as “H-Lab,” a summer program led by Harvard students to get Japanese high school students to think outside the box! Also, just as people like Henry Kissinger attended JASC, I really want the future leaders of the U.S. to have Taiwan near and dear to their heart. 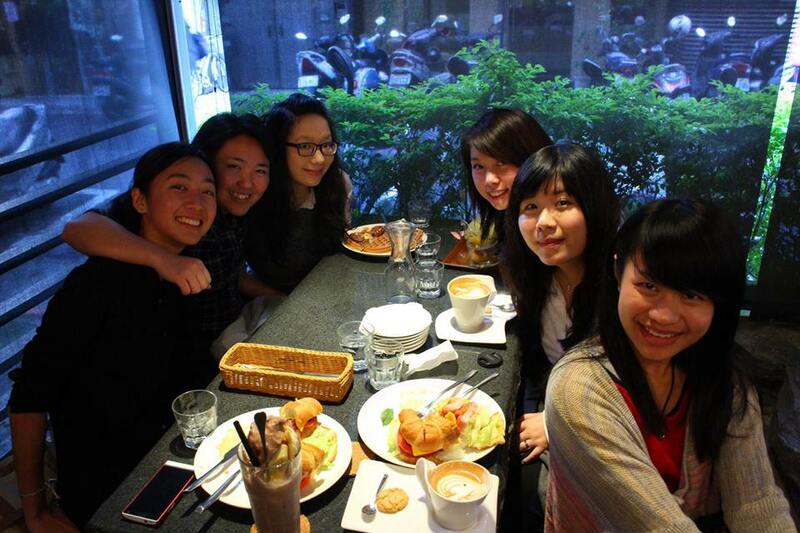 Sharon: Having split my life between two homelands, Taiwan and the U.S., I have deep ties to both. Through my interactions with students from both sides, I have noticed an alarming lack of interaction and understanding between them. In addition, I have always believed that Taiwan deserves more international recognition than it currently receives. Echoing what Alice said, it was not until my experience at JASC, however, that a more concrete solution to these issues gradually emerged in my mind–TASC. JASC inspired me in making me realize and believe in the power and potential we have as students. H: I’m impressed that your vision for the conference includes tackling a broad array of issues relevant to the young people of Taiwan. How did you guys settle on these topics? A: Once we had our 12 member team, we made a long list of issues we wanted to talk about. We debated amongst ourselves and settled on five topics that we felt were most immediately relevant to both countries: U.S.-China-Taiwan relations, education reform, government responsibility, discrimination against minorities, and energy sustainability. We want delegates to have the chance to discuss issues that have made the headlines recently, including LGBT rights, island disputes, and education–just to list a few subtopics within our broad Roundtables. H: So, Alice and Sharon, you both met at the Japan-America Student Conference. 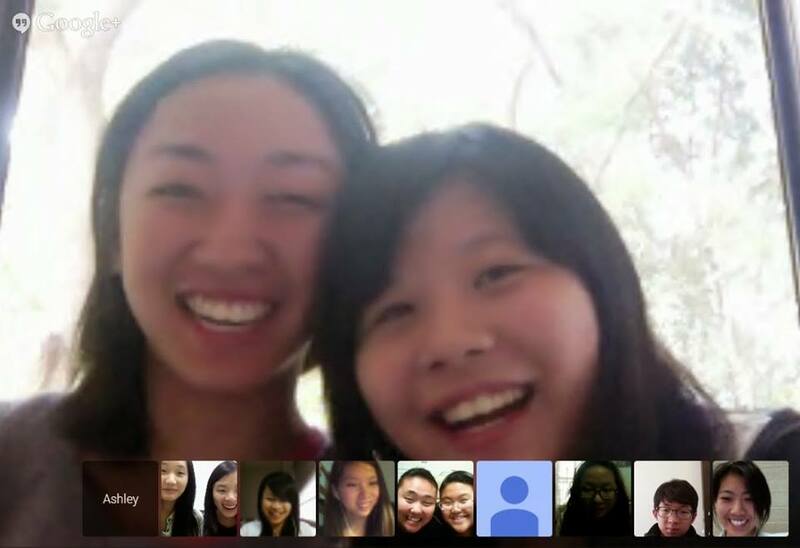 How did you build out your team across the U.S. and your international counterparts in Taiwan? A: I’d really have to credit Sharon and her dad with this one. Aside from Shirley Cheng and Frances Chan, the rest of the team came through Sharon. Ha, I get this huge surge of pride when I talk about TASC Executive Committee members. None of this would be possible without them! S: I approached my friends and acquaintances in both Taiwan and the U.S, who shared the same vision and had the capabilities to organize TASC. 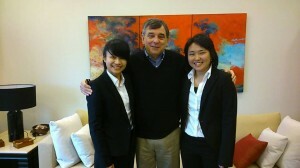 My dad, a professor at National Tsing Hua University, helped us recruit Taiwanese students. He recommended students he knew and personally reached out to his network in the education sector to recruit students from different parts of Taiwan. Furthermore, some students who could not commit to being a part of our team themselves connected us with other students whom they thought would be good candidates. The most committed students then had interviews with Alice. Soon enough, we had a dedicated & talented team. H: That’s so great! You also have an impressive set of speakers who will be presenting at your inaugural conference. How did you connect with them all? A: Our Taiwanese Executive Committee (TEC) are very proactive in reaching out to potential speakers and utilizing their networks. Dr. Stanton, who is the former Director at American Institute in Taiwan, is actually now the Director for Center of Asia Policy in National Tsing Hua University. He also happens to be one of our TEC’s, Amanda Lin’s mentor, and an incredibly nice person. All of our speakers, including Teach for Taiwan founder Anting Liu, are inspirational people who aim to empower the younger generation through sharing their own stories of leadership and service to society. H: In your publicity, you acknowledge the 35th anniversary of the Taiwan Relations Act. A lot of young people don’t fully understand what it entails. What does that relationship between America and Taiwan mean to you personally? F: The Taiwan Relations Act represents to me everything that the U.S. has done to keep Taiwan free. Cynics might say that the U.S. mainly supports Taiwan for strategic reasons, but there really is more to the relationship than just counterbalancing China. When I talk to other Americans about how Taiwan is a free country with a beautiful culture, but that it’s constantly bullied into isolation by the Chinese government, they really do sympathize. The reason why even very influential people like U.S. congressmen often support bills to help Taiwan is because they make so many decisions with their minds every day; when we talk to them about Taiwan, we give them a chance to make a decision with their heart. H: Agreed. I do think it’s wonderful that you all have such a heart for the issues that are relevant to Taiwan and the U.S. I’m also curious about your stories, too. Tell me about your personal identities as Taiwanese Americans. Where did you grow up and what are the events and ideas that have shaped you the most? A: I was born in Taiwan, moved to California when I was four for elementary education, moved back to Taiwan for middle school, and then back to California for high school, then finally to the East Coast for college. I grew up never being American enough and never being Taiwanese enough. In Taiwan, my fashion style, speaking accent, and dark skin make me automatically American. In California, being Taiwanese American was more common but because I attended middle school in Taiwan, I was “extra Taiwanese”. I didn’t follow mainstream music, tv shows, and American pop culture. At Villanova University, oh boy, I’m not even American. I once even had a teacher that insisted on calling me an international student. I think all the moving and having to find my identity niche each time really got me to understand the importance of accepting myself and others as an individual. F: I came to identify as Taiwanese American, because certain individuals would always challenge me when I said I was Taiwanese–“Come on, don’t be stuck up and think you’re different- you’re Chinese,” or “Taiwan’s a part of China, so you’re Chinese.” Now, if a Chinese person wants to identify as Chinese, people let them do that. Why can’t people just accept that I am Taiwanese? Is being Taiwanese somehow inferior or improper? No, and I thank my parents and my friends at TAFPC, a Taiwanese-American church at home in Jersey, for teaching me to hold my head high when I tell people that I am Taiwanese American. S: I was born in the U.S., but grew up in Taiwan until moving back to the U.S. in middle school. When I first moved back to the U.S., I found myself isolated in a strange environment, facing not only language and cultural barrier but also great confusion with regard to my identity. As I assimilated into the American culture, I struggled to maintain my Taiwanese roots. People from the U.S., then gradually people from Taiwan as well, perceived me as a foreigner. I seemed stuck in between an irreconcilable dichotomy, belonging nowhere. I gradually realized, however, that I am just Sharon Lu with a bi-cultural background which has given me two homes and the strength of being able to connect them with my native proficiency in Chinese and English, cultural sensitivity and passion for both. H: Those are such interesting personal stories. I feel like we could do an interview on just the different perspectives and issues on identity alone, but we’ll save that for another day. A simpler question: What are your favorite Taiwanese foods? A: Everything you see in night markets. All the night markets. Ok maybe except the cockroaches I tried when I vacationed in Tainan with some of the TASC EC’s. F: Taiwanese sausages! I know they’re bad for you, but they’re just so juicy and delicious! And beef noodle soup. In fact, I’ve even written a 20-page history paper on it and how it’s a microcosm of modern Taiwanese culture and identity! S: This is a difficult question! It is difficult not only because I find most Taiwanese foods delicious but also because certain foods are associated with precious memories. My brother and I basically grew up on the NTHU campus, and we would always go to this juice store in one of the cafeterias to get fresh guava juice which is especially delicious on a hot summer day. I also love dried mushroom chicken soup (香菇雞湯) which my grandma often cooked to warm us up in the winter. I also love Taiwanese rice balls, bubble tea, fried chicken chops (香雞排), and so on from the morning and night markets. H: They all sound so delicious! You’re making me hungry. Anyways, I’m curious… What are you most excited about for this conference? A: Meeting 41 other amazing individuals. Showing American friends my Taiwanese culture, and showing my Taiwanese friends my American sass. I’m excited to just have fun together. F: I’m excited to learn about Taiwan in depth. While I’ve learned a lot about Taiwanese history and culture in my spare time and have been to a lot of touristy places, TASC will be my first opportunity to travel around Taiwan to learn about actual issues and talk to local leaders. I am also really excited to meet all the students, especially the Taiwanese students, since I rarely have a chance to meet students from Taiwan! S: I’m excited to see TASC become a spark for great conversations and actions regarding international and societal issues as well as a foundation for individuals and friendships to grow from for many, many years to come. H: How can people find out more or register for this conference? F: Visit our website, Taiwan-America.org! Give us a holler via our Contact page! There’s a brief application form due by March 16, but if you submit it by our early bird deadline of February 23, your application fee is waived. We promise to get back within a week of either deadline on acceptance status. There are also scholarships for students concerned about the cost of attending the conference. H: Thank you so much for your time today. On behalf of TaiwaneseAmerican.org, our staff wishes you the best on this inaugural year! What a great opportunity they are creating for students to get involved in international business! I commend them for working towards strengthening taiwanese-american relations.